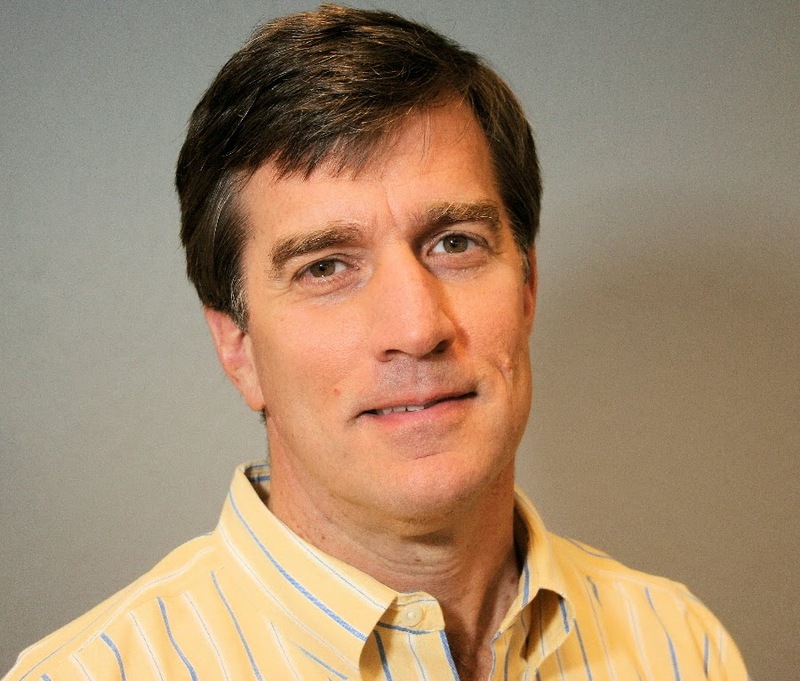 Much of the press surrounding the Vergara decision has focused on the role of David Welch, President of the Silicone Valley Telecommunications behemoth, Infinera. 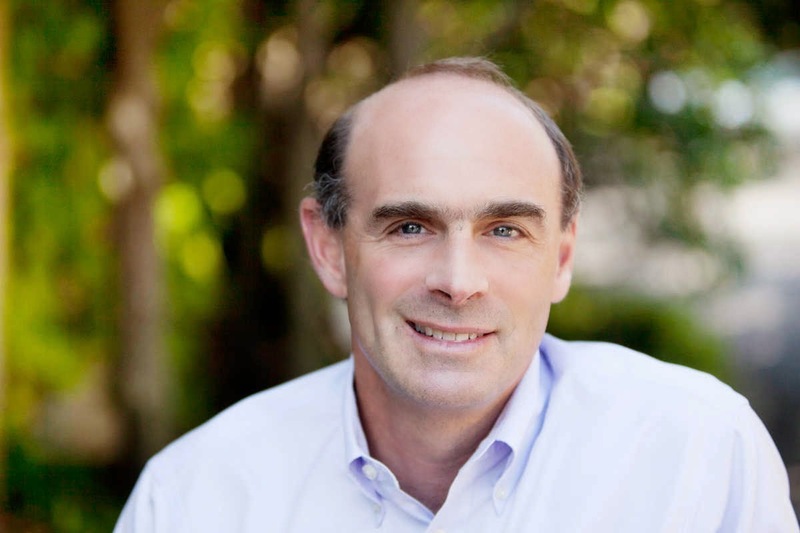 Dave Welch isn't a teacher, politician or lawyer, but he was the driving force behind a landmark court ruling Tuesday that is poised to overhaul public education in California and across the nation. 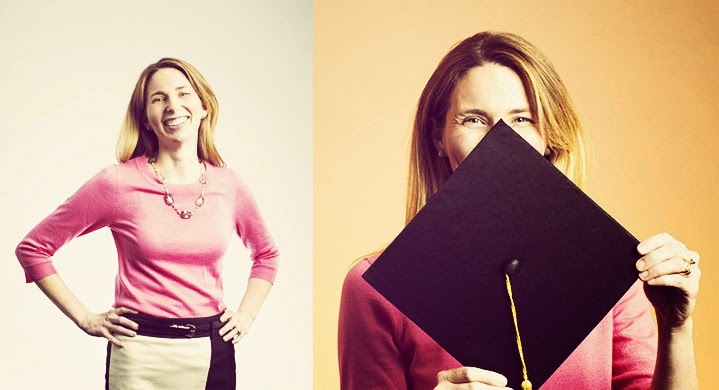 How did the 53-year-old Silicon Valley entrepreneur do it? Some would say it's a passion for kids' education and a winning argument that California's policies guiding teacher tenure are broken. Others would say, simply, it's his money. Welch certainly seems to be the driving force behind the Vergara case, but he had a lot of help along the way from some very reformy friends in very high places. I've taken some time to familiarize myself with the 990s for the Students First Foundation, which is "doing business as" Students Matter. Students First Foundation is the 501c3 Welch formed to trample teacher tenure. It's amazing what you can learn from a 990. ... and the paltry $40,000 reaching out to the community they were supposedly representing. Students Matter found the attorneys and the expert witnesses for the case; they compiled the "studies" and established the strategy; they even assembled the ed reform groups and philanthropists to support the case. Oh and they dabbled in "community outreach" but it seems the "public" part of their relations campaign wasn't much of a priority. The breakdown in expenditures seems to lead to one simple conclusion - if you have almost $2M to spend on lawyers and PR, it doesn't really matter whether you have buy in from the community. Consider this, from Esau Herrera, veteran Board member from Alum Rock Union Elementary School District, which was a co-defendant in the Vergara case. But again, when you have all that money, who needs community support? The 990's also reveal that the money behind the suit wasn't Welch's alone. The two largest contributions did indeed come from Welch; $550,000 from "The Welch Trust" and $568,357 from "LRFA, LLC" which is some sort of business entity that links directly back to Welch's Infinera. So that's well over $1M from Welch. The next biggest dollar amount came from none other than Eli Broad, who kicked in $200,000 to buy the Vergara ruling. Just last month Bruce Reed, who is tasked with "minding the foundation's investments and its work on K-12 reform," discussed the Vergara case with the LA Times. His remarks are so simplistic, so misguided, it's almost beyond comprehension. Q: There should be a ruling soon in the Vergara lawsuit, brought by L.A. are students challenging teacher tenure, seniority and firing policies. The foundation supports the student's case. In some quarters it's seen as being about busting teachers unions, not about improving education. A: The goal of Vergara and efforts like it is to make sure there are quality teachers in the classroom. We do a very poor job in this country in teacher preparation. Most of the education schools aren't any good. We throw first year teachers into the classroom. No one comes along to see how they're doing, give them advice. No good workplace works that way. We should pay teachers more for doing well, for teaching in the toughest places to teach, for excelling at one of the toughest professions. We need to elevate the profession. If your head has stopped spinning, we'll move on to the other big money backers behind Vergara. The next biggest dollar amount, $100,000, came from "Tammy and Bill Crown." It took some digging around to figure out that William H. Crown, who seems to split his time between Chicago and Portola Valley, CA, is one of the heirs to Chicago billionaire Lester Crown's fortune. Bucks: Regulars on Forbes' billionaires list, Lester Crown and clan ranked 52nd this year with an estimated net worth of $4 billion. The bulk of the family's holdings are in manufacturing and real estate. Some gems include Aspen Skiing Co. resort in Colorado and stakes in the Chicago Bulls, the New York Yankees and New York's Rockefeller Center. Because what ed reform escapade would be complete without at least a couple of billionaires? Certainly the Crowns of Chicago should have a say in what happens in the classrooms of California's students, shouldn't they? The next two largest contributions come directly from folks on the Students Matter Advisory Board. Ted Schlein kicked in $50,000. Klein not only sits on the Advisory Board, he is listed as the Director and CFO on the Students Matter 990. Schlein made Forbes' 2014 "Midas List" as one of the Top 100 Venture Capitalists, coming in at #62. Schlein has spent his career in and around the Silicon Valley Tech Industry, so naturally, he should determine which teachers should remain in California's classrooms, right? A $30,000 donation from the Emerson Education Fund may be one of the most interesting, however. The Managing Director of the Emerson Education Fund is Russlynn Ali, who also just happens to be on the Students Matter Advisory Board. Guess where Ali was BEFORE she came to Emerson. Russlynn joined Emerson Collective from the U.S. Department of Education, where she served as assistant secretary for civil rights. Nominated by President Obama in early 2009, Russlynn was confirmed by the Senate on May 1, 2009, and served in that position until December 2012. 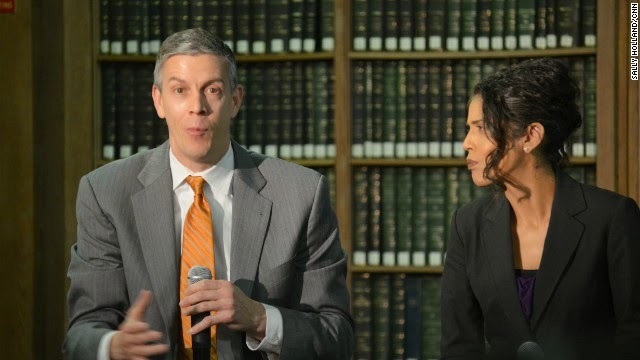 As assistant secretary, she acted as Secretary Duncan’s primary advisory on equity and civil rights, and led a team of more than 600 attorneys, investigators and staff that is widely credited with having revitalized civil rights enforcement in education. It's not hard to imagine that Ali very well may have been one of the driving forces behind Vergara. She would certainly have all the needed experience - knowledge of the "studies" that support Vergara's POV, access to the philanthropists to lend financial and moral support and it sure never hurts to have the Secretary of Education on your side. Ali's Broad/Duncan leanings are on full display in an article she wrote about the trial, in which she makes some of the most outlandish statements about teacher effectiveness I've ever seen strung together in a single sentence. Students taught by effective teachers are more likely to attend college, have higher earnings trajectories, live in better neighborhoods, save more for retirement, and avoid pregnancy during teenage years. I don't know about you, but I'd love to see the research that backs up each and every one of those statements. Especially since one of the key points on which Judge Treu decided the case was that "grossly ineffective" teachers make up 1-3% of the California teaching force (somewhere between 2,750-8,250 teachers apparently) who are having a "direct, real, appreciable, and negative impact on a significant number of California students." Except the expert witness who gave this testimony says that's not what he meant at all. But where did this number come from? The above linked article for Salon by Jordan Weissman makes the most salient points I've seen in the wake of the decision, primarily that the decision seems to have been made on the judge's misinterpretation of the testimony given. Here's another excerpt from Weissman's article. Just to make sure this is crystal clear - the expert witness in the Vergara case states he has no idea what a "grossly ineffective" teacher is, has never met one, and doesn't think test scores should label a teacher as ineffective. Yet somehow Judge Treu let a distorted version of his testimony impact his decision. This case was clearly not decided based on "facts" or "research, rather the decision seemed to be predestined -- the result of a well orchestrated public relations campaign. In fact, from 2011-2012 Students Matter paid PR firm Griffin Schein (AKA Rally) just under $1M for their services. Griffin Schein Communications, which has specialized in issue advocacy for entertainment figures and public interest clients, has renamed itself Rally. The firm led communications efforts with the American Foundation for Equal Rights in the nonprofit’s quest to overturn Proposition 8 in federal courts and has worked on advocacy efforts involving Maria Shriver, Alicia Keys, Rob Reiner and Norman Lear. It has been working with Students Matter in its Vergara vs. California lawsuit, which seeks to strike teacher tenure, dismissal and seniority laws in the state. Dismantling tenure is not the same as overturning Prop 8. And Rally played no small role in this case and its ultimate outcome. I don't doubt the PR folks working on this campaign were themselves sold by the likes of Russlyn Ali and fellow Students Matter Advisory Board Member Ben Austin, Founder of Parent Revolution, that education reform is "the civil rights issue of our time." But the ideology behind campaigns like Parent Revolution and Students Matter often falls flat in real world applications. The parent trigger legislation pushed by Parent Revolution has stalled in more states than it has been enacted, and California is the only state where the trigger has been pulled, and it wasn't pretty. Some parents involved in the original campaign now feel cheated and burned. Morales said he is pleased with the new charter operator in Adelanto, but said he wouldn’t go through the trigger process if he had the option of doing it all over again. He’s cut ties with parents he once considered good friends because of it. That's really quite a statement - that one of the parents at the center of the only successful application of the parent trigger feels like Parent Revolution came in and brainwashed the community, and if given the chance he wouldn't do it again. I can't help but draw a parallel between Parent Revolution and parent trigger legislation and Students Matter and the Vergara decision. Ultimately, the question is, will the upheaval and tumult caused by ferreting out all the "grossly ineffective" teachers in California produce a drastically different education system, or in a few years will the families at the center of this campaign feel like they were brainwashed and that their schools could have been improved without all the drama? It's my greatest hope the Vergara decision does not spread to other states, and is overturned in California on appeal due to pressure from the actual parents, teachers and students who would be affected but this reckless ruling. I don't know about you, but personally I'm pretty sick and tired of monied interests buying legislation, and now a court decision, that could potentially impact my (and your) kids and their teachers. On June 4th, the State Board of Education convened for another fun round of discussion about the education reforms proposed (and partially implemented already) to drastically change the face of education as we know it. The State Board of Education held (and is still holding – check their website for more dates) public comment/hearings on the re-adoption of the Core Curriculum Content Standards (CCSS) which includes the Common Core State Standards (CCSS) in math and language arts, and a proposed overhaul of the science standards to move to the Next Generation Science Standards. While only two women spoke (both representatives of their organizations), the second speaker caught my attention immediately – Janellen Duffy, from a group called JerseyCAN, spoke on behalf of the organization. JerseyCAN, the New JerseyCampaign for Achievement Now founded in March of 2013, is “a part of 50CAN: the 50-state Campaign for Achievement Now. [They] are a non-profit organization that launched in March 2013, and [they] advocate for a high-quality education for all New Jersey kids, regardless of their address. JerseyCAN is working to create learning environments that best meet every child’s needs by focusing [their] work on starting earlier, expanding choices, aiming higher, cultivating talent and reaching everyone”. Former Governor of New Jersey Tom Kean is the co-chair of New Jersey’s branch JerseyCAN’s board. Executive Director of JerseyCAN Janellen Duffy, as reported by NJ.com, stated, “We believe in using data to guide decision-making in education, whether it's decisions parents are making about schools or policy decisions that are being made at the state and local level”. Data. It always comes down to data, because in education reform today, if it isn’t quantifiable and measurable, it isn’t important. The impact of outside factors on students and education? Who cares! Poverty? Ha!! Sweep that one right under the rug because no one wants to talk about that elephant in the room! For a deeper analysis on the “data-guided decision-making” process, see JerseyJazzman’s blog post on JerseyCAN. 1. “Now more than ever, higher, consistent standards are needed to help ensure that students have the knowledge needed to succeed in college and careers. The Common Core State Standards incorporate the expectations of both colleges and employers to ensure students are prepared to meet the demands of a 21st century workforce. Furthermore, the Common Core State Standards are internationally benchmarked so that students can compete with their peers in the United States and in countries across the world”. “How do I know the goal of international benchmarking was abandoned by CCSSI (Common Core State Standards Initiative)? As a member of Common Core’s Validation Committee from September 2009 to August 2010, among the criteria I was asked to sign off on in May 2010 was whether Common Core’s standards were ‘comparable to the expectations of other leading nations.’ Despite making regular requests since September 2009 for evidence of international benchmarking, I received no material on the academic expectations of other leading nations in mathematics or language arts and literature. I was one of the five members of the 23-member committee who declined to sign off after examining the final version of the standards. I had also done my own research on the matter. Two English-speaking regions (British Columbia and Ireland) indicate far more demanding requirements for the literacy knowledge students need in order to pass a high school exit test or matriculation exam than appear in Common Core’s high school standards”. "Common Core's 'college readiness' standards for English language arts and reading do not aim for a level of achievement that signifies readiness for authentic college-level work. They point to no more than readiness for a high school diploma (and possibly not even that, depending on where the cut score is set). Despite claims to the contrary, they are not internationally benchmarked. States adopting Common Core's standards will damage the academic integrity of both their post-secondary institutions and their high schools precisely because Common Core's standards do not strengthen the high school curriculum and cannot reduce the current amount of post-secondary remedial coursework in a legitimate way". 2. “Opponents of the standards often claim the Common Core State Standards are a one-size-fits-all approach to education and that the Common Core State Standards encroach on local control. However, these are unfounded assertions. The Common Core State Standards are not a curriculum, and they do not dictate lesson plans; they are merely learning goals for each grade level that are based on what skills and knowledge students need to acquire to be successful in college or careers. All decisions about how to teach to meet the goals of the standards will continue to be made by educators at the school and district level” . “But the Core are copyrighted, and if you want to use them, you must do so as is, with not a single change. States may add up to 15% on top of what's there, but they may not rewrite the CCSS in any way, shape, form, jot, tittle, or squib. States cannot adjust the standards a little to suit themselves. They cannot adapt them to fit local needs. They can't touch them. 3. “JerseyCAN strongly believes that with the proper focus and attention, this misinformation can be addressed and significant challenges will be resolved in a timely manner so schools and districts can fully implement the standards. New Jersey has been and should continue to be a leader in education. Where other states have stumbled, we should learn from their mistakes and forge ahead”. New Jersey has always been one of the top performing states in the country educationally. 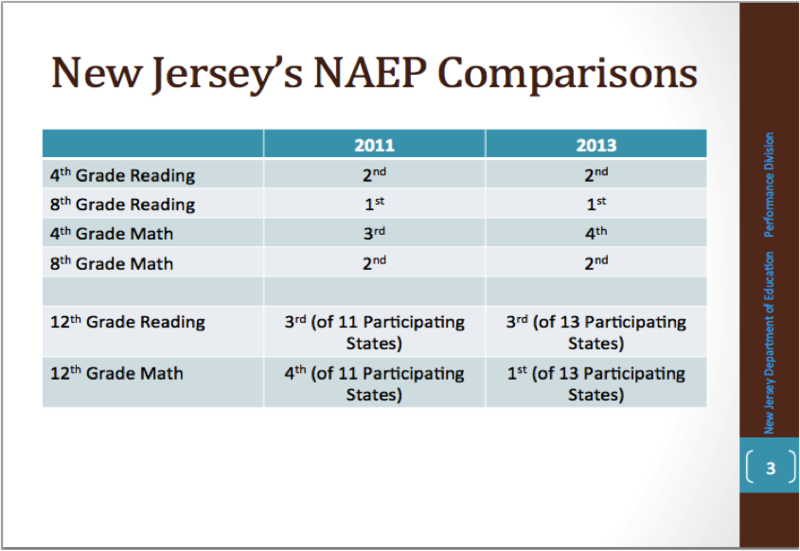 At a recent state board of education meeting, Bari Erlichson, the Chief Performance Officer/Assistant Commissioner of Data, Research, Evaluation and Reporting at the NJDOE, reported on the 2013 NAEP (National Assessment of Educational Progress) scores. According to Ms. Erlichson, New Jersey students are ‘flat’ in their growth. But a closer look at the data would show that being ‘flat’ isn’t such a bad thing (aside from it being a poor way to characterize our students). Looking at all grades and across subject areas for all students, New Jersey’s track record is second in the nation in performance and improvement on the National Assessment of Educational Progress (NAEP). Source: The Education Trust. Differences in State Track Records Foreshadow Challenges and Opportunities for Common Core. July 2013. No other state in the nation scores statistically higher than New Jersey on the fourth grade or eighth grade Reading Exam. Fourth graders in New Jersey public schools have the 5th highest scores in the nation in reading in the National Assessment of Educational Progress (NAEP). Eighth graders have the second highest. Source: National Center for Education Statistics. A First Look: 2013 Mathematics and Reading. October 2013. In a comparison of New Jersey’s eighth grade NAEP math scores with eighth grade math scores in countries world-wide, New Jersey public school students out-performed all but five Asian countries. Source: National Center for Education Statistics. US States in a Global Context: Results from the 2011NAEP-TIMSS Linking Study. October 2013. But there’s a reason behind this madness – the New Jersey Department of Education didn’t just pull the word ‘flat’ out of the air – there is a deliberate labeling of our students, teachers, and schools as underperforming and in need of the magical reforms that are proposed to ‘fix’ education. The push for all of these reforms – Common Core State Standards, PARCC (Partnership for the Assessment of Readiness for College and Career), TEACHNJ/AchieveNJ for the new teacher evaluations that include student test scores and ‘growth’ (and that’s a whole different conversation) – comes behind the false tale that we are failing. The only way to sell these reforms is to convince the public that there is a huge crisis in education, and we must make drastic changes if we want our students to be ‘college and career ready, and ‘prepared to compete in a 21st century workforce’ (because apparently everyone who has gone through the public school system up to this point have also been complete failures). There absolutely is a crisis here – but it is a manufactured crisis intended to make money for the select few, such as massive testing companies like Pearson, book publishers like McGraw Hill, etc. ; and to purposefully break teachers unions, close public schools, and create a system of ‘choice’ and charter schools run by corporate management companies and organizations for one purpose and one purpose only – money. Real education? Genuine learning? Expressing creativity and exploring individualism? Nah, as long as we get those test scores up, that’s really all that matters (and did I mention money?). Quoting that there is ‘misinformation’ out in the public is another tactic used by the reformers. “There’s a lot of misinformation out there in the public. Trust us (the reformers), we have the best interest at heart for students, teachers, and schools. Everything we do is for the students.” Translated: you’re colossally stupid and misinformed, so let us reformers make the decisions that impact every student, teacher, and school despite our complete lack of educational experience. ‘Misinformation’ has recently become one of those infamous buzzwords that the reformers seem to love, along with some of my personal favorites like ‘rigor,’ ‘accountability,’ ‘effective,’ and a slew of other words to convince the public that our schools are failing. Our nation needs all of these reforms – more ‘’rigorous’ standards, only the most ‘highly effective’ teachers – to bring our schools to an internationally competitive level because our students, teachers, and schools have been failures up to this point. Just because a group has a nice-sounding name like the “Campaign for Achievement Now” and an inspirational slogan like “great schools change everything,” never take these things just as they are. Never hesitate to jump in and do research – even just looking around websites and seeing who funds groups like these and who sits on their boards – to become increasingly more educated and informed. Many times groups that claim the public is ‘misinformed’ are misinformed themselves. And many times, they aren’t even misinformed – they just completely ignore evidence and statistics that counter their arguments. Always listen to both sides of an argument, look closely at data, and make conclusions from there. I’ve got my eye on JerseyCAN, and you should too. Melissa Katz is an Urban Elementary Education major at the College of New Jersey. 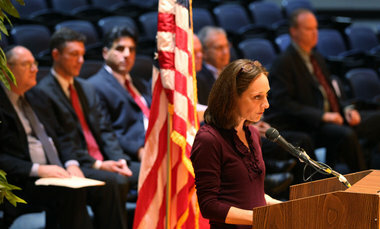 Melissa is a product of New Jersey's public schools, and an unabashed defender of public education. She has taken a keen interest in the education reform movement, and makes her way around the state studying reform in its many guises. 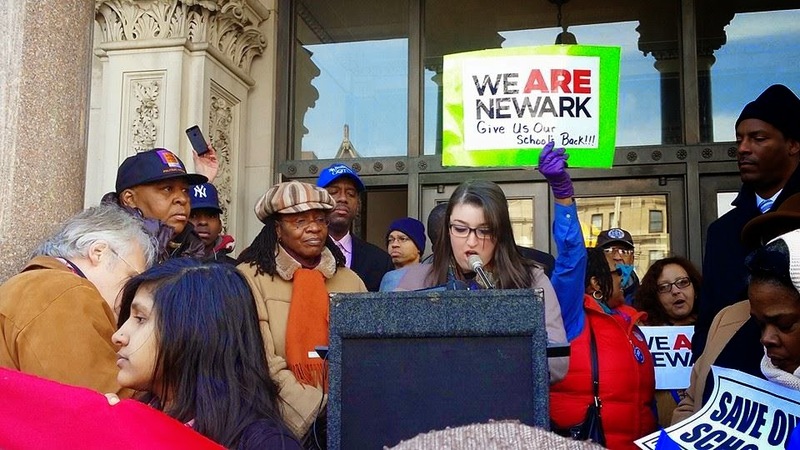 She has attended and commented at Board of Education meetings in multiple districts, delivered testimony before the legislature in Trenton, and gave a passionate speech at the March 27th NJ Ed March in Trenton. She can be reached at katzm5@tcnj.edu or you can leave a comment for her below.